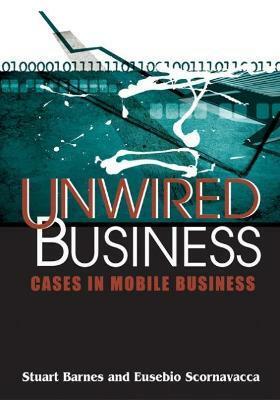 Unwired Business: Cases in Mobile Business, aims to provide a source of high quality, practical case studies of the planning, implementation and use of mobile and wireless data solutions in modern business. The case studies are selected both as exemplars of wireless and mobile solutions and as typical cases in a variety of areas of common development. The book provides a number of insightful analyses of business applications of mobile technologies that help the practitioner understand the nature of the technology and how its value can be best harnessed in a wide variety of organizational settings. The focus is to present how these emerging technologies can help business to create a strategic advantage in the market, typically by becoming more efficient, effective and profitable. The examples should provide ideas and points of reference for managers as they seek to devise and implement mobile applications for business advantage. In particular, this book is aimed at managers that would like to better understand the implications of wireless and mobile technologies for today's organizations. Sample of Contents: Consumer applications of m-business; Mobile Marketing; Organizational applications of m-business; Mobile applications in healthcare; Mobile technologies in international markets. Stuart J. Barnes is Chair and Professor of Management at the University of East Anglia, UK. Stuart has been teaching and researching in the information systems field for over a decade. Eusebio Scornavacca is Lecturer of Electronic Commerce at the School of Information Management, Victoria University of Wellington, New Zealand. Before moving to Wellington, Eusebio spent two years as a researcher at Yokohama National University, Japan.